Michael Brenner (l) with German Federal Justice Minister Heiko Maas. Photo, Emily Andresini. 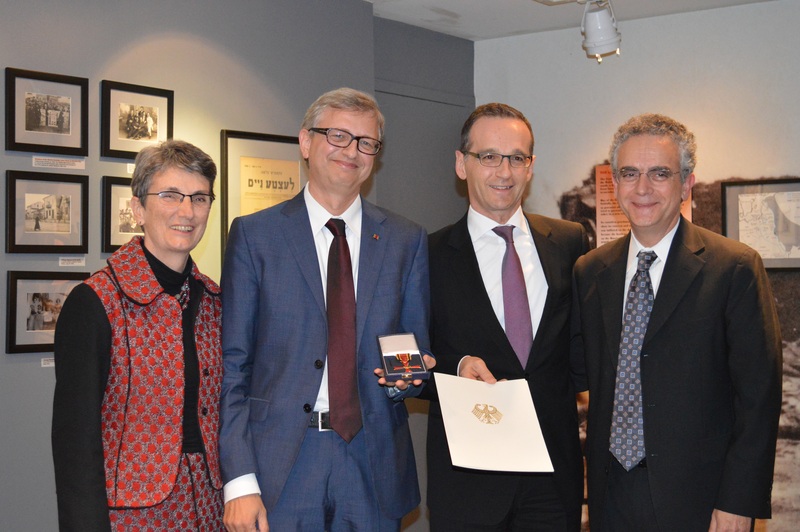 On November 19, 2014 at the Center for Jewish History, German Justice Minister Heiko Maas presented LBI International President Michael Brenner with the Federal Order of Merit, (Verdienstkreuz am Bande) praising the historian as a guardian of Jewish history and an important supporter of Jewish life in Germany and worldwide. Brenner, born 1964 in Weiden, Bavaria, has occupied the Chair for Jewish History at the Ludwig-Maximilians-University of Munich (LMU) since 1997. In the past decade-and-a-half, he has established the LMU as a major European center for the study of Jewish history and culture with an excellent international reputation. Brenner is currently serving as the Seymour and Lillian Abensohn Chair in Israel Studies at American University (AU) in Washington, DC and directs AU’s Center for Israel Studies. Maas said that, for Brenner, scholarship was not an end in itself, but a means for engaging with important social issues. The Justice Minister called Brenner a bridge-builder between Germany and Jews, between Europe and the US, and between Judaism and Islam. In 2013, Brenner was appointed International President of the Leo Baeck Institute, in which capacity he coordinates work among the three independent LBI centers in London, Jerusalem, and New York. 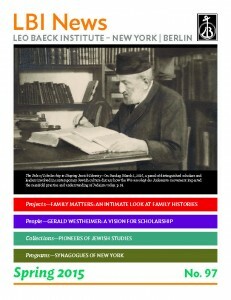 From 1998 until 2009, he was the Chairman of the Academic Working Group of the Leo Baeck Institute, and he co-edited the LBI’s four-volume work on the history of Jews in Germany, German-Jewish History in Modern Times, among dozens of other scholarly publications.